A new “turf to table” restaurant with a menu designed to “celebrate local produce and heritage” will open in West London’s Richmond later this month. 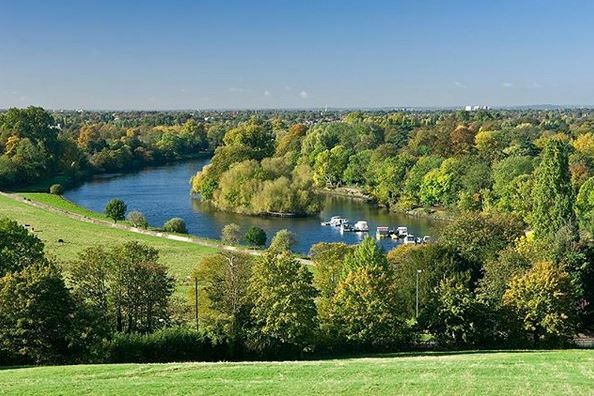 144 On The Hill will adjoin Richmond Hill Hotel, offering views over Richmond Park. While details of the restaurant’s “Turf-to-table” inspired menu are yet to be unveiled, dishes will consist of “simple, classic cuisine” with vegetarian and vegan options on offer, as well as a luxury afternoon tea. The wine list is set to feature British producers such as Kent’s Chapel Down, with the cocktail menu offering a take on mead made with Richmond Bee Keeper honey. A selection of craft beers will also be available. With interiors created to compliment the Georgian architecture of the building and “inspired by the local flora and fauna” of Richmond, the restaurant will be divided into several different spaces, connected but each offering a contrasting experience. Designed by Russell Sage Studio, the Snug will provide a quiet, intimate space while the bar and lounge will offer an upbeat atmosphere with live music, cocktails, carefully chosen wines and a selection of small plates. 144 On The Hill is currently operating a soft launch, opening for full service later this month.